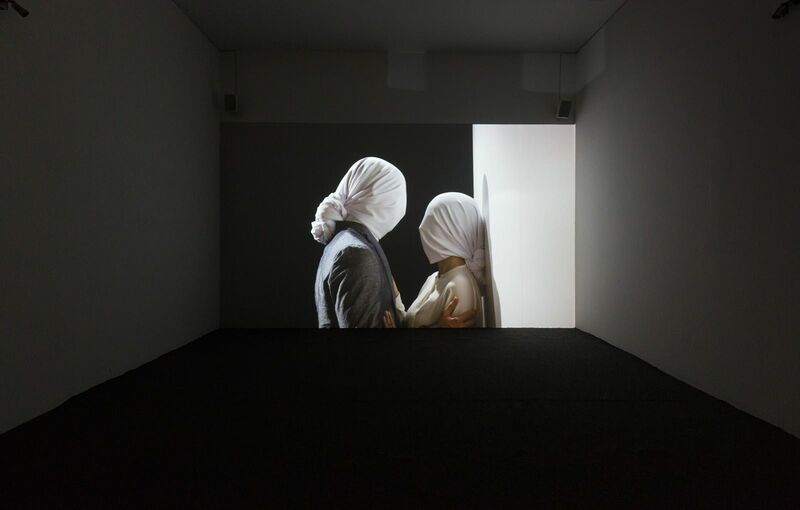 Maryam Monalisa Gharavi, installation view, Lovescript, 2017, HD single-channel video, 11:49 mins. Photo: Peter Mauney. Maryam Monalisa Gharavi will be opening a show at The Poetry Project which will feature a talk by Sowon Kwon, MFA Fine Arts Faculty. Sowon Kwon works in a range of media including sculptural and video installations, animation, drawing, printmaking, artist books, and writing. Her recent work explores portraiture, perception, and historical memory as our bodies are increasingly submitted to and made (in)accessible through technology. Kwon’s solo exhibitions include coffee table comma books at Full Haus Gallery, Los Angeles; average female (Perfect) at Matrix/University of CA Berkeley Art Museum; Two or Three Corridors at The Whitney Museum (formerly at Phillip Morris, now Altria). Her work has also been featured in many group exhibitions in the US and abroad at: The New Museum of Contemporary Art, ICA Boston, MOCA Los Angeles, The Queens Museum, The Yerba Buena Center for the Arts in San Francisco, Artist Space, The Drawing Center, Artsonje Center in Seoul, Korea, the Gwangju Biennale, the Yokohama Triennale in Japan, and San Art in Ho Chi Minh City, Vietnam. She is a recipient of fellowships from The New York Foundation for the Arts, The Wexner Center for the Arts, and The Asian Cultural Council. Her writing includes contributions in Triple Canopy magazine, Broodthaers Society of America, and 4 Columns. She currently teaches in the Graduate Fine Arts Program at Parsons/The New School. See more information about the reading and the show.